Visit the US Consumer Product Safety Commission (CPSC) website to find out if your smoke alarm is part of the recall. 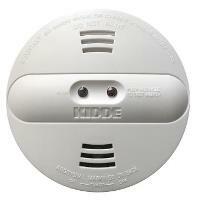 If your model is included in this Kidde Smoke Alarms Recall, the agency provides manufacturer contact information to obtain a replacement product. Smoke detectors and a complete emergency supplies kit are safety essentials for every home, vehicle and business. *Please note, although Sunset Survival does not carry these smoke alarms, we have included this safety recall notice as a customer courtesy.